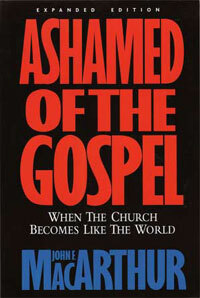 I completed reading John MacArthur’s book Ashamed Of The Gospel over the weekend. This fine book has the following subtitle, “When The Church Becomes Like The World.” There are several editions of this book. The one I have was marketed in 1993 as the Expanded Edition for it contains several Appendix sections. While this is not a “new” book, I still found it very up-to-date for MacArthur paralleled the trend in our time of “church marketing,” “seeker-sensitivity,” and “soft-selling the Gospel” with the Down-Grade Controversy that consumed the last several years of the ministry of C.H. Spurgeon in the 19th Century. Our enemy may enlist his followers because of their supposed innovations in ministry, but honestly, there is nothing new under the Sun. The very same error being made by seeker-sensitive ministers such as Rick Warren and emergents like Doug Pagitt is simply a repeat of the very same errors made by the liberals in Spurgeon’s day, which is to attempt to minister pragmatically rather than by faith. My wife and I will be leaving this afternoon to drive from the KC area to OKC to spend a few days with family. I know that while we are there there will probably be a major ice/snow storm. We plan on returning Sunday. I plan on finishing my reading of John MacArthur’s book Ashamed of the Gospel while traveling and resting.Please pray us to have a safe and restful trip. My original plan was to read and review three of John MacArthur’s books over a three or four week span. Those three books are The Jesus You Can’t Ignore (done), The Truth War (done), and Ashamed of the Gospel. However, two things have transpired which have delayed the third review. The first is that it took a bit longer to get my hands on a copy of Ashamed of the Gospel than I had anticipated. I did not begin reading it until late last week. The second is, I believe according to an intervention by the hand of God, an escalation in the truth war. The writing of the last several articles on Pragmatism as it relates to the biblical Gospel were in response to some increased “activity” by certain Emergents, which I believed God commanded me to “counter.” These types of articles or “apologies” take a lot of time and work on my part to put together. 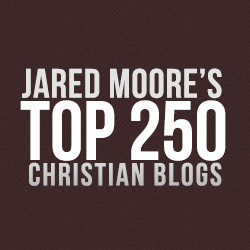 This took time away from the reading of Ashamed of the Gospel. However, interestingly, today I have arrived in the section of the book dealing with “contextualization” as it relates to the pragmatists’ handling of the gospel of our Lord Jesus Christ. There are many parallels between what is going on the visible church at this time with what Charles Spurgeon called “the Down-Grade Controversy” in his time. In the latter part of the 19th Century, he began addressing the growing apostasy in the Baptist Union in Great Britain. This apostasy was fueled by those leaders who wished to move Christianity from its historical focus, i.e. preaching the Gospel in the power of the Holy Spirit with emphasis on sin and the need of a Saviour, to one that was more in line with “Modernism.” He compared Biblical truth to the pinnacle of a steep, slippery mountain. The margin for error is very precise because one step away, and you find yourself on the downgrade. The following excerpt is from one of his sermons preached at the height of this controversy. 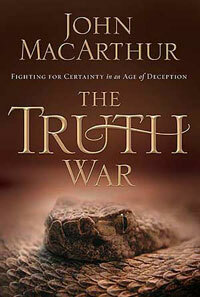 I have had John MacArthur’s book The Truth War on my reading list ever since it was first published a couple of years ago. In fact, I bought it as soon as it was available. However, I have only recently had the opportunity to actually read it. I am very glad I did. While I was reading The Jesus You Can’t Ignore a couple of weeks ago, I kept berating myself for putting it ahead of The Truth War. Of course, I had it in my head that there would be a great deal of continuity between the two books. I envisioned that they would be bookends to the issue of the growing apostasy in the visible church. In a way, that assumption was correct.